Insulation Pros of Colorado is your go-to insulation installation team in Denver and the surrounding areas. Learn more about our Denver insulation services below! Your home can lose up to 40 percent of its energy through its walls and ceiling. Many homes in the Denver area were created decades ago with older insulation, or no insulation at all, leading to poor efficiency and reduced comfort. At Insulation Pros of Colorado, we know how much money an insulation installation can save homeowners. The Department of Energy has estimated that properly insulating your home can save you up to 20 percent on your monthly heating and cooling bills, leading to substantial savings throughout the year. If you need wall insulation, attic insulation, soundproof insulation for a specific room, or insulation throughout your entire home, then give us a call to get started. You can find a complete list of our residential insulation services here. As a business owner, your company’s bottom line is your primary responsibility. Your business might be housed in a building that was constructed decades ago with outdated insulation, or no insulation whatsoever. Allowing hot and cold air to escape through your walls and ceiling is a drain on your hard-earned revenue, and you could be putting those lost profits toward further investments in your company. You also need to keep your employees comfortable, as an office that is too warm or constantly chilly can lead to unhappiness and decreased productivity. If your employees are constantly cold during the winter or the air in the office is uncomfortably warm and stale during the summer, then give us a call to request more information about an insulation installation. At Insulation Pros of Colorado, we’re committed to helping you find the ideal solution to each of your business’ needs. Whether you need soundproof insulation for the executive meeting room or you’re looking to lower your monthly energy bills, we’re here to provide you with the insulation installation your business needs. Contact an Insulation Contractor Today! 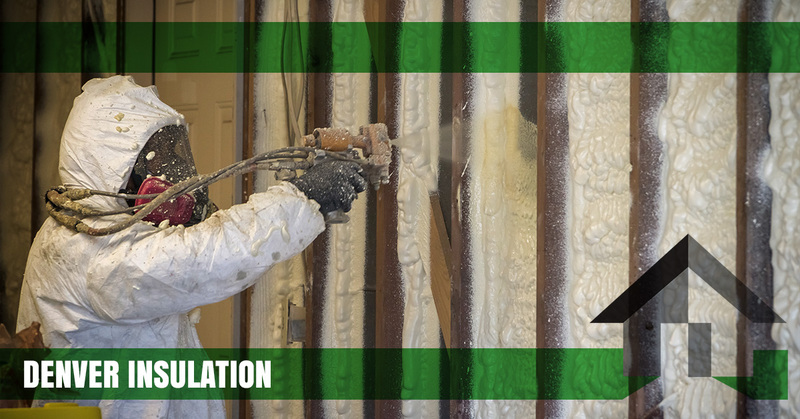 As the Top Rated Local® insulation company in Denver, you can count on us to provide you with a solution that lasts. We possess more than 30 years of experience in the insulation industry, and we’re also a trusted provider of Owens Corning insulation. We’ll beat any licensed and certified competitors by 10 percent — give us a call today at 720-340-8733 to get started!